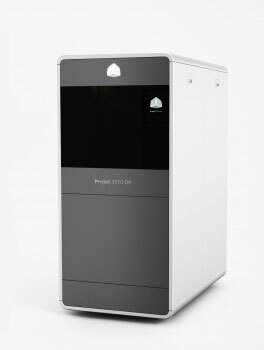 The ProJet 3510 MP dental 3D printer is designed for use in dental labs with 24/7 operation and same-day cycle times, increasing prodiction throughput but delivering perfect surface finishes. Up to 24 quad cases can be built at one time, quickly, easily and perfectly. 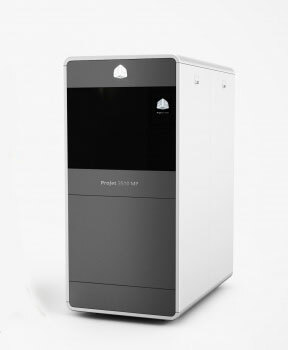 The ProJet 3510 DP printer accurately, consistently and economically manufacture high-precision wax ups for dental labs. 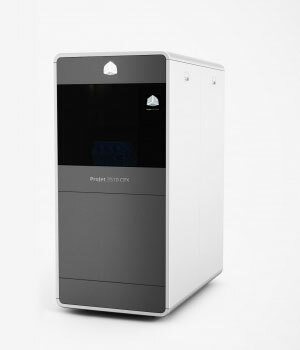 Using the VisiJetDentcast material, the ProJet 3510 DP has a build size of 11.73 x 7.3 x 8 inches, high definition modes of operation, accuracy of 0.001-0.002 inches per inch of part dimension, and a 5 year print head warranty.